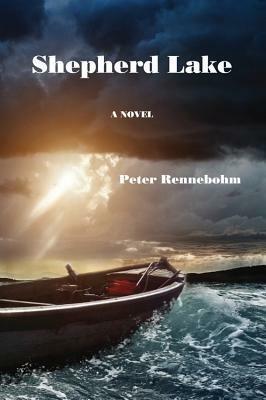 The talented Peter Rennebohm is back with a new tale featuring Charlie Nash and his dog in SHEPHERD LAKE ©2015. We first met Charlie, some years ago, in BLUE SPRINGS. Both books are written in the tradition of vintage adventure stories, full of suspense and derring-do. Rennebohm writes with the joyous ordinariness of a Norman Rockwell painting, those tributes to 20th century American culture. One can easily imagine a couple of boys laying in the long grass, this book between them, devouring every word. But, like a Norman Rockwell, we see that our first impression is illusory—closer study reveals squalor just beneath the surface. In SHEPHERD LAKE, Charlie has reached his mid-teens, but life events have left him troubled. He accumulates dangerous influences, some of his own making—he’s headstrong and reckless. Some are not—strange men appear in these supposedly uninhabited woods. Old, and possibly valuable, secrets are uncovered. Unbeknownst to Charlie, at least one man is vicious and depraved.Will he know whom to trust? In time? We hope Charlie and his friends will survive this maelstrom, though it seems certain they cannot survive every obstacle. No doubt they will be changed. How great will the damage be?You’ll just have to pull up a chair and find out. In case you’re a bit worried, Charlie’s dog, Taffy, is a golden retriever. And she has a part to play in this story. Need I say more?P.S. On my name url you'll also find a link to my review of the first in the series, BLUE SPRINGS. I recommend you read them in order.